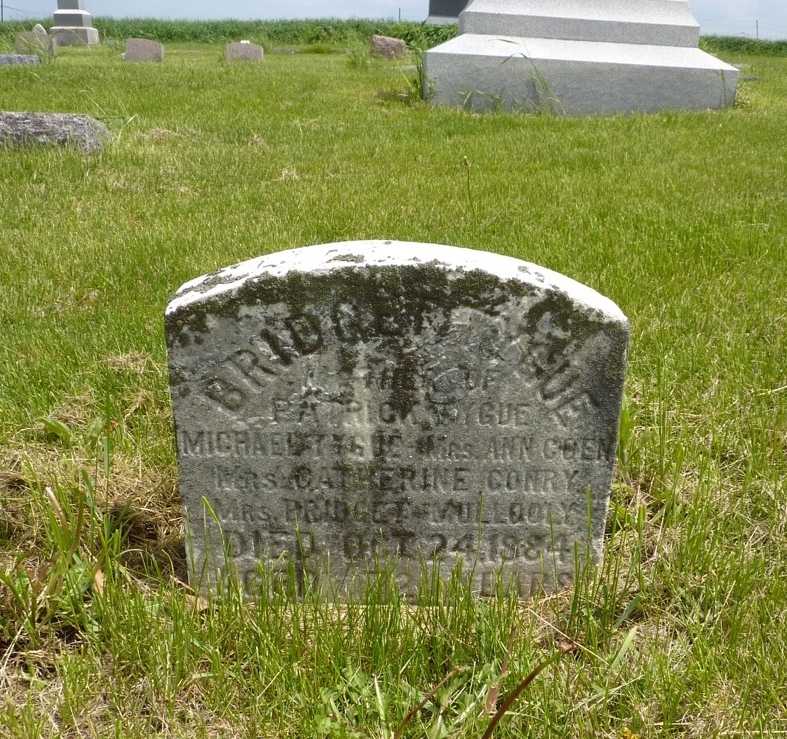 In 2013 I was in Wisconsin and visited the cemetery to get this photograph of Bridget Purcell Tygue’s headstone! This really surprised me because they were kind enough to list all 5 of her children when she died in October of 1884. Of Patrick Purcell, of parish Shrule Co. Mayo, who when last heard of was with his nephew Michael Tigue, in North Killingly, Connecticut. Please address his sister Bridget Tigue and family Daysville, Connecticut. Tigue – on Patrick’s baptismal record in Shrule County Mayo in 1838. Tighe – what Michael changed the name to between 1900 and 1905 in Rock County Wisconsin. McTygue – what Patrick used on his headstone in Eddyville Nebraska and what our branch of the family uses today!